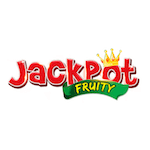 Access Jackpot Fruity casino and start your adventure in style! Become a member and deposit at least 10 Pounds. You will then be rewarded with a 100% bonus up to £150 plus 50 extra spins. Use the cash to play all the games you want, and use the bonus spins only on Fae Legend Warrior. Wager the bonus and deposit amount 40 times for any withdrawals from the extra money. In order to cash out your winnings from the spins, you must play through them 70 times. Your winnings limit is set at £10. Get your hands on this offer right now!